In Sub-Saharan Africa (SSA), 20 per cent of the population is aged between 15 and 24 years. This age groups constitutes more than 30 per cent of the region’s working population according to the International Labor Organisation (ILO). AFDB reports that the region’s unemployment rate currently stands at 60 per cent with 70 per cent of the unemployed being youth, representing a key hindrance to the growth of Africa’s economy. Given this, youth in SSA are turning to entrepreneurship so as to cater for their daily livelihoods and also create job opportunities for their peers. However, how can these businesses be sustained to avoid the trend of start-ups failing within their first few years of establishment? Just like any other natural ecosystem, the entrepreneurship ecosystem is only balanced when all of its components are in harmony. If one component expands at the expense of another, then the risk of the harmony being lost is heightened and it is longer capable of maintaining healthy growth or serving those that it is intending to serve. The entrepreneurial ecosystem goes beyond ensuring there is solid infrastructure, financial support, Internet, regulatory and legal policies. Entrepreneurs need to be nurtured within an ecosystem that places equal importance on the development of their core human capital; their capabilities namely skills and knowledge and more importantly, their capacity which is their leadership, resilience, confidence and motivation. Investing in the development of human capacity enables entrepreneurs to truly realize, unlock and live up to their potential to not only grow their business and create the much needed jobs but also develop themselves as capable leaders and empowered individuals who will go on to create a lasting impact within their community. Mowgli Mentoring views the ecosystem as having four key pillars and believes that entrepreneurial support activities should focus on developing, with equal investment, each of these pillars. First is environment: parenting, primary, secondary and tertiary education. Second, infrastructure: laws and regulation, Internet and an open market and the third is financial capital: angel investing, working and equity capital and fair investment. The final pillar is Human capital: mentoring, skills development and leadership. Currently, the human capital pillar of the ecosystem is not receiving enough investment, and as a result entrepreneurs are not able to breakthrough, scale quickly and/or sustainably, barring them from achieving a status that creates a platform for employment opportunities. Research firm, Statistic Brain highlights that 25 per cent of start-ups fail within the first year and 44 per cent within the first three years. Given these statistics it is imperative that we surround the entrepreneurs with a balanced ecosystem to give them the greatest chances of success and sustainability for themselves and for the societies within the region. In order to shed light on this critical subject, Mowgli Mentoring recently published a report, Nurturing Human Capital: The Missing Piece of MENA’s Entrepreneurship Puzzle, which analyses the current situation of the entrepreneurship ecosystem across the region, and points out what is needed to enable and empower business owners to strengthen their leadership and personal capacity. This will enable them effectively and efficiently grow sustainable businesses and ultimately drive the needed economic growth. Among the key finding of the report include; Development of human capacity is the “key” to achieving substantially enhanced Return on Entrepreneurial Investment (ROEI). Second, Entrepreneurs need a balanced ecosystem of support with equal investment between financial and human capital, in order to achieve growth. Third, successful entrepreneurs are created through nurture, through the development of their own core human and leadership capacity and capability. To develop this, they need solid and empowering support throughout the journey. The fourth finding was that Mentoring provides entrepreneurs with true nurturing and is “key” within human capacity development for today’s entrepreneurs. 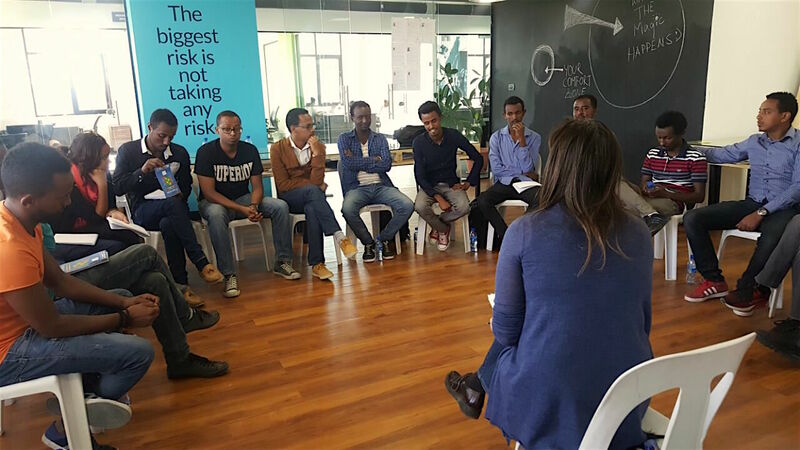 Finally, training of holistic mentors, who are focused on personal and business development, as well as the close support and supervision of new mentoring relationships, is critical if entrepreneurs are to succeed. If we are unable to empower entrepreneurs to develop their leadership, resilience and confidence, and motivate them to continue taking on the numerous knocks that come with fighting the storms of entrepreneurship, the investment made in all other areas of the ecosystem, particularly financial capital, will not produce favourable and/or optimized returns. Investing in human capital is just one piece of the entrepreneurial ecosystem puzzle. It is the foundation upon which all the other components can be optimized and where the greatest return on entrepreneurial investment can be made. Mentoring is an essential component of human capital development and it is a vital and cost effective means of supporting sustainable growth and development.